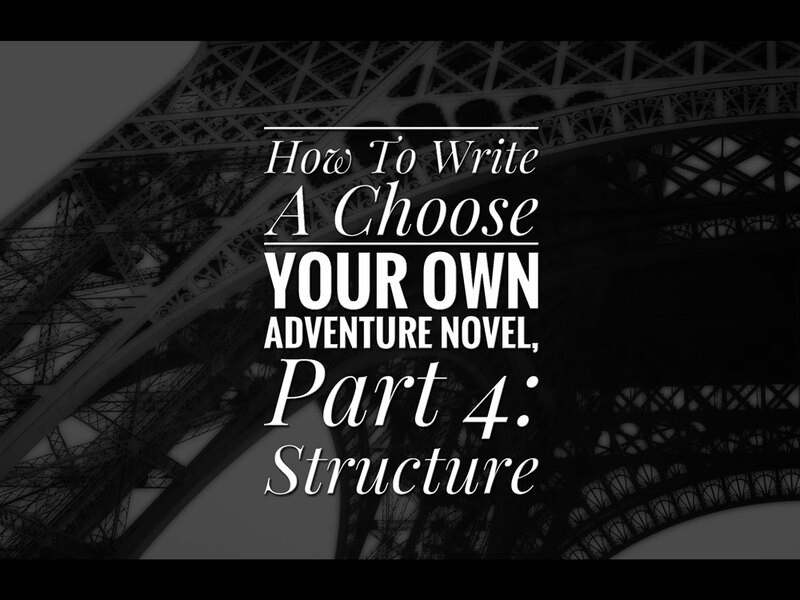 Over the years I've written a few articles about the various ways a story can be structured (see: Short Story Structures: Several Ways Of Structuring Short Fiction, A Story Structure In Three Acts), but CYOA stories are in a class by themselves. (Google CYOA structure to see what I'm talking about). If you do, you'll see dozens upon dozens of CYOA branching structures. My point is that—as with the hidden geometric structures of coastlines—it's only when we pull back from the particular details of any story that structural commonalities between them emerge. This post is about two kinds of structure. The first kind is the sort of structure I just talked about. 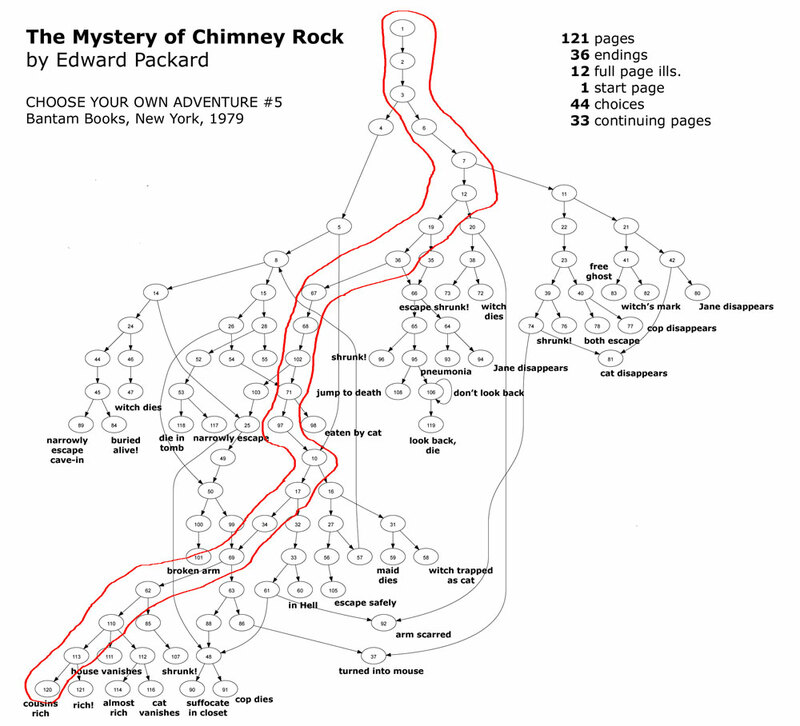 The second kind of structure I'll discuss is unique to CYOA stories and has nothing—or at least very little—to do with the first kind. 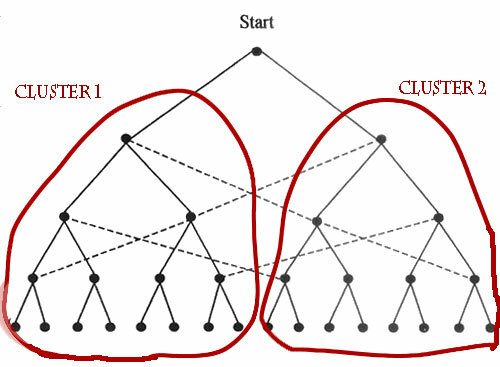 To make this less confusing, I'll call the first kind of structure, "story structure" and the second kind of structure, "branching structure." The general structure I'm going to talk about is—and I want to stress this—given purely as a place to start. If you have your own ideas about how you want to write your CYOA story, go for it! Ignore everything I say here. On the other hand, if you're looking for a place to start, like an oyster using a grain of sand to form a pearl, then take what works for you and ignore the rest. First, let's get some terminology out of the way. This is how I think about CYOA stories, but I'm not saying this is how anyone else thinks about them! Complete narrative chain. A complete narrative chain represents a complete story. These narrative chains reach the lowest level, in this case level 21 (see my discussion of levels, below). Cut narrative chain. What I call a cut narrative chain tells a full story too, in it's way, but the player doesn't reach the lowest level. 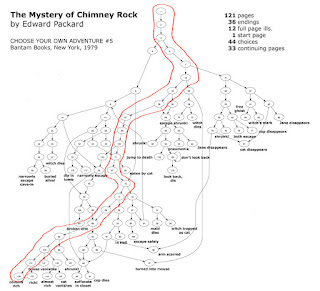 An example of a cut narrative chain would be one in which the character died before she reached the end of the adventure. A cut narrative chain is a narrative dead end. You get the idea. 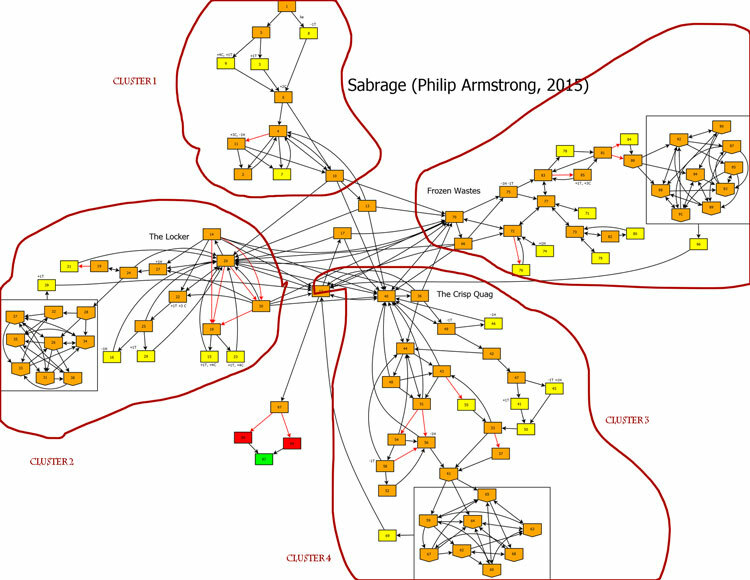 Each cluster has a branching structure of narrative blocks inside it. 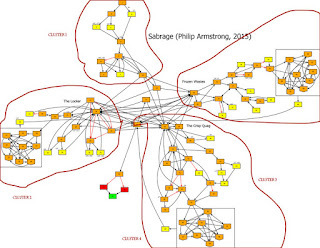 In what follows I'll talk about a structure with only two clusters because it's simpler. Levels/Depth: What I'm calling a level refers to the depth or length of the narrative chains. Generally speaking, the longest narrative chains seem to be 20 narrative blocks in length. 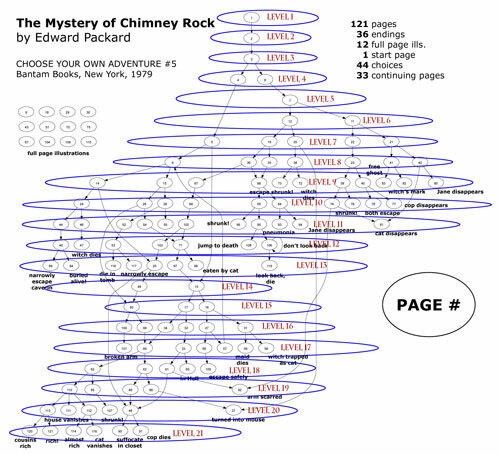 The figure, above, has 21 levels. Want to have all this information in one place? Get How to Write a CYOA Story! Right now it's only $0.99. 1. 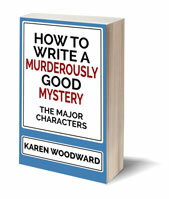 "Writing Tips how to Write a Choose Your Own Adventure Story," by Len Morse. 2. Chuck Wendig uses language in uniquely creative ways which makes most of his blog posts NSFW. Be warned. 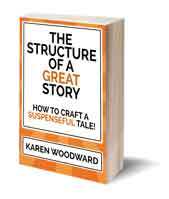 But this particular blog post is truly excellent (as most of his posts on writing are): 25 Things You Should Know About Story Structure. 3. "Earth’s Most Stunning Natural Fractal Patterns", by Jess McNally, Wired Magazine. 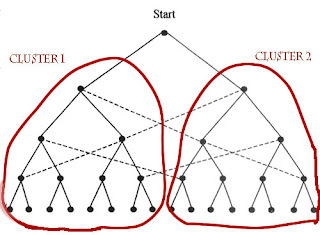 Story Structure: What Are Pinch Points?